Our unique APS system and antioxidant-rich African Mongogo Oil, which helps to absorb natural oils while assisting hydration by helping to draw in water. 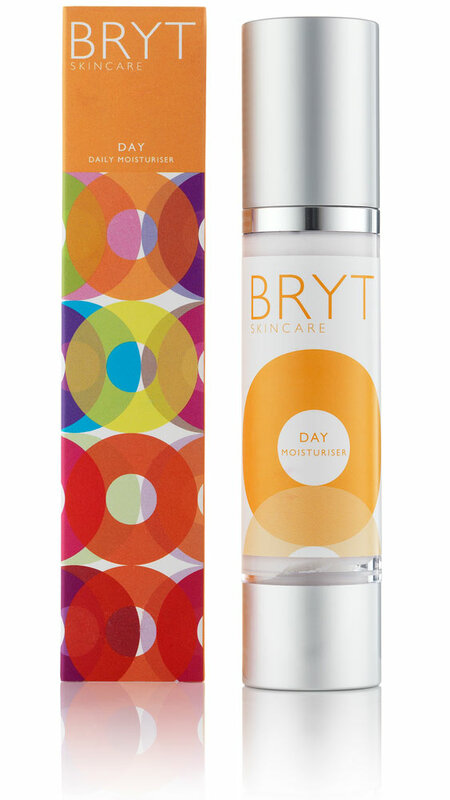 BRYT Day also contains Vitamin E and essential oils including Green Tea, Bergamot, Lemon and Mandarin. SPF15 shields skin against UV-induced damage and seals in all the goodness absorbed by the skin from the BRYT Serums, while boosting their effectiveness. Cruelty-free. Our ever-present antioxidant-rich APS formulation, helps to protect the skin against external aggressors and free radicals which damage DNA. It protects and hydrates without clogging pores, while absorbing excess sebum. African Mongongo Oil, used for thousands of years by the Kalahari Bushmen to protect their skin from the harsh desert environment, is rich in Eleostearic Acid which reacts with UV light to form a protective layer on the skin. Also rich in Vitamin E, it provides additional antioxidant properties. Essential Oils of Green Tea, Bergamot, Lemon and Mandarin combine with a nature mimicking antioxidant system that mimics the skin's natural enzymes, helping to protect against oxidisation. This helps the skin to hold on to water - vital in order for cells to remain hydrated, supple and healthy. Following the application of BRYT Essential, BRYT Calm or BRYT Nourish, apply a small amount to your fingertips. Tap into your face and neck, paying attention to the eye area, then lightly massage into the face and neck, starting with the neck and working upwards. Parfum (Fragrance) - Essential Oils of Green Tea, Bergamot, Lemon and Mandarin. I have dry skin and this moisturiser works really well to keep my skin soft, as well as working beyond what I'd expect in a general moisturiser. After trying and loving the Boost serum I am now also using the day and night moisturisers and Remove. The skin on my face and neck looks smoother and stays beautifully moisturised all day. Perfect products found after a lot of searching! Love this product, the pump dispenser makes it so easy to use. No heavy scent and no greasy residue. Great value for money for a day moisturiser with SPF 15. Thanks BRYT, you deserve your success. Perfect daytime protection, I'm using this after the Nourish or Boost serum, leaving a lovely smooth finish that's really taking care of my skin; I'm sixty-one, yet this is certainly light enough for any age. A lightweight spf moisturiser that makes my skin feel refreshed. Complements the serum. Early days to see whether it does anything for my skin. I may order the night cream so I have the set. Smells and feels lovely. Have only been using it for a few days so didn't feel I could give 5 stars yet! For years I have had to change the creams I use after 6 months or so as my skin reacts to what I have put down to product build up...until now! I love the BRYT products. They suit my skin perfectly and have made a massive difference to my complexion. It was a chance meeting at an event that got me started. I use the face wash, boost serum, day and night creams. I'm not fastidious with my skincare routine but do make sure to use the serum and night cream every evening, the day cream I carry around with me! Amazing. I'm buying reruns for my sisters and friends for Christmas! I love this moisturiser, it is rich enough to be really effective but doesn't leave a horrid sticky texture on the skin. smells lovely and has SP15 built in Perfect for me.